It seems that so many people in the celebrity spotlight of my youth are passing away. Designers, singers, actors, activists, even politicians — they’ve crossed that line that marks the last decades of their lives, and then they are gone. The often irreverent and always funny George Carlin is the latest name on the list. Carlin died Sunday of heart failure at age 71. From the vantage point of youth, 71 was “old,” distant, beyond comprehension. From the vantage point closer to 60, his 71 years now seems pretty young. 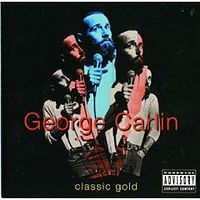 I remember Carlin first as “the hippy dippy weatherman” — a tamer version of Carlin in those early days.